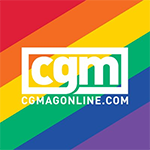 Downloadable ContentThis content requires the base game Total War: WARHAMMER II in order to play. Night falls on Lustria. As you stand on the dock and peer seawards through the gathering mists, strain your ears. The jungle sounds behind you fade, and in their place comes a wet thudding, as of rotten rigging against a mouldy mast. The sound multiplies, and with it, the groan of a thousand breathless voices, joined in something part-shanty, part-dirge. Dread prows pierce the gloom ahead, and the ghastly truth is laid bare: upon the ghoul-winds come the swollen hulks and decaying vessels of the Vampire Coast! Run now – run hard and fast. For it is all you can do. It was the undying lord Luthor Harkon that laid claim to a stretch of Lustria’s east coast. Ever since, it has been a domain where the dead stir, leading expeditions into the jungle interior or setting sail across the Great Ocean to commit wanton acts of piracy. But the insane Arch-Commodore Harkon is not the only unliving admiral who takes to the seas with pistol-armed crews of zombies, vampiric depth guard, syreens and mournguls… there are other pirate lords who command dreadfleets of their own, packed to the gunwales with crews press-ganged into eternal service. These tyrants ply the seas seeking plunder of blood and gold. However, now that the vortex of Ulthuan weakens, the captains search for more than mere treasure… for the Star-Metal Harpoon lies in the deeps, a weapon powerful enough to bring the greatest Merwyrm of them all to heel! 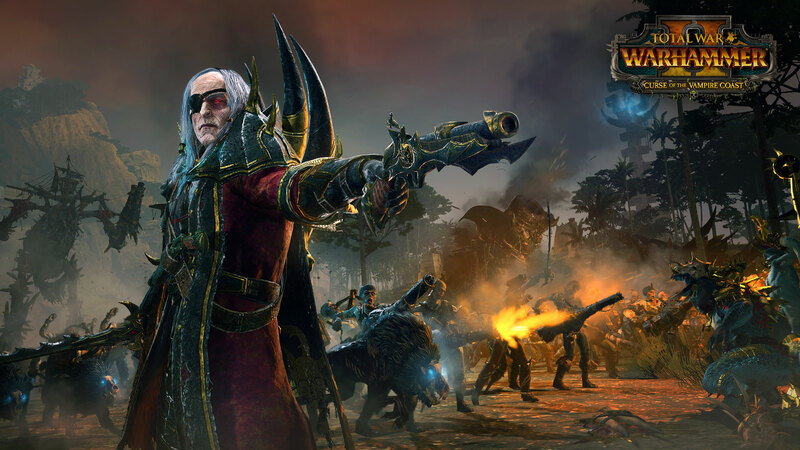 Overall Total War: Warhammer II – Curse of the Vampire Coast delivers a delicious deep dive into the Legendary Lords of the Vampire Coast. 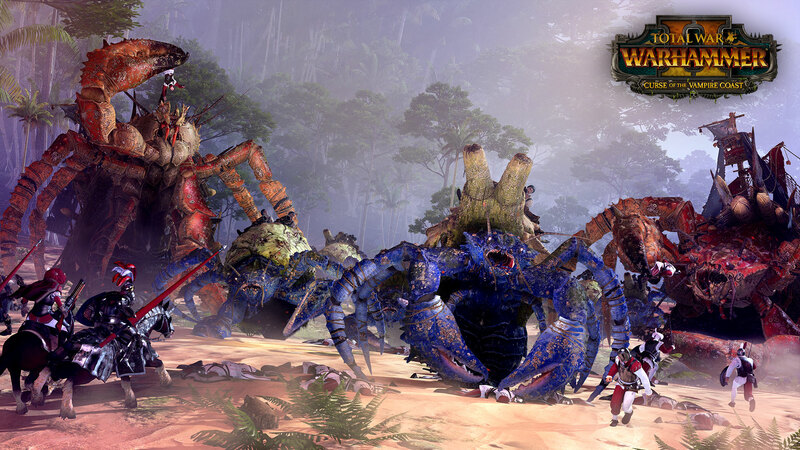 With its unique victory conditions and mechanics that scream YAAARRR, it’s a welcome addition to the Total War: Warhammer universe and well worth your time and money. A couple of the Legendary Lords' campaigns could start a bit snappier though, as proper fighting and unit selections starts after quite a wait. This army may have been fished out of the briny deep, but their powder has certainly remained dry. Vampire Coast boasts a rather unique take on the campaign and it's a good addition to the expanding Warhammer roster. 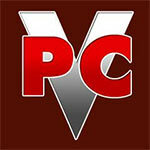 Smaller additions, like Regiments of Renown unlocked by finding cursed Pieces of Eight scattered throughout the game world or treasure maps that requires you to find a campaign location and dig up its treasure with a Hero or Army serve to round up the expansion with more thematic flair, elevating the DLC bit by bit. The end result is a surprisingly good pirate-themed pack in a game that had absolutely no business having it, and it is only let down by the shameful lack of proper ship to ship combat. 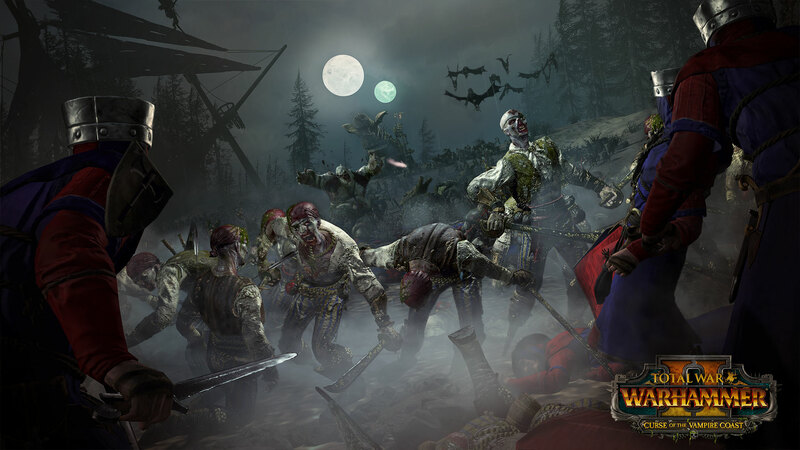 Every time Creative Assembly releases another piece of DLC, I am continually impressed by their ability to innovate and make Total War: Warhammer II feel fresh, and the Vampire Coast is no exception. 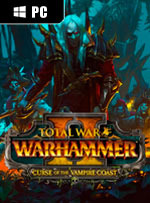 I do not know if more factions will be added, but considering how strong both Curse of the Vampire Coast and Rise of the Tomb Kings are, I look forward to whatever lies over the horizon. 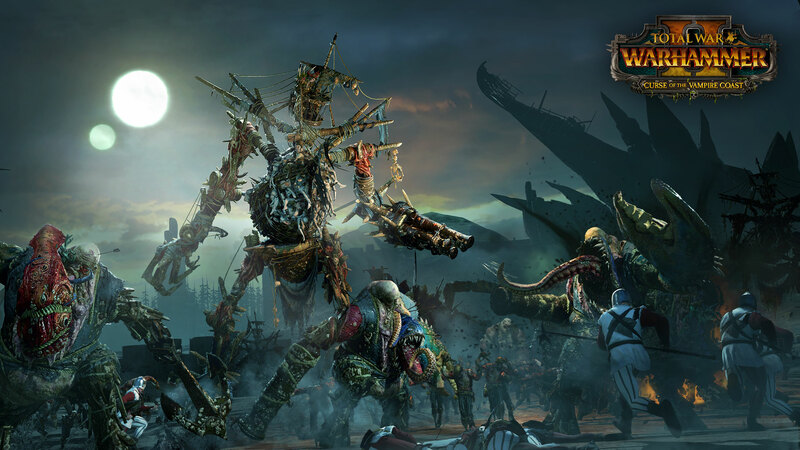 La politica adottata da Creative Assembly nella gestione dei DLC per Total War: Warhammer II può non far felici i fan della serie strategica, ma quando ci si imbatte in contenuti inediti come quelli proposti da Curse of the Vampire Coast c’è poco da recriminare. Le novità apportate sono consistenti, trattandosi di ben quattro fazioni nuove e di una razza inedita, quella della Costa dei Vampiri, per la quale sono stati modellati degli schemi di gioco del tutto differenti rispetto al passato. Curse of the Vampire Coast verrijkt Warhammer II op zoveel manieren dat het soms een nieuw of ander spel lijkt. Dat is wat uitbreidingspakketten het beste doen. 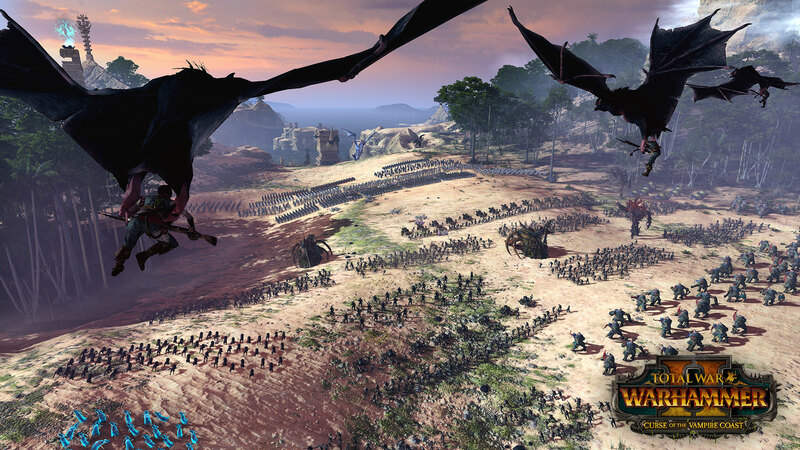 Total War: Warhammer wordt langzaamaan een van de beste en origineelste strategiespellen ooit.